To succeed in e-commerce, you must be competitive in everything you do. Want to increase your sales and become a real force in your market or niche? Study what high-volume sellers are doing and apply it to your own business practices. Here is a close-up look at what successful sellers are doing both on and off Amazon—and how you can make it work for you and your business. To say Amazon is a competitive marketplace is an understatement. In order to be successful when selling on Amazon, you need to make sure your product is visible to the people who might actually want to buy it and that your listing entices them enough to make a purchase. Optimize your listings: Optimizing your Amazon listings is one of the most effective things you can do to improve your best sellers rank (BSR) and increase the chances that your product will show up in a search. Start with your title. It should contain keywords to improve your search engine optimization (SEO). Amazon gives you 500 characters for your title and while that may seem like a lot, it’s important to choose your words wisely. After all, your title still needs to make sense and clearly explain to any potential buyers exactly what your product is. Don’t just load it up with keywords. It may help search results but it will be off-putting to a potential buyer. Remember, keywords that you do not have space for in the title can be used in the product description. Invest in ads: High-volume sellers undoubtedly make use of Amazon sponsored ads. These ads ensure that your product is visible on the pages your potential buyers are already browsing. Simply put, sponsored ads allow you to purchase space at the top of Amazon search results and category listings. Offered on a pay-per-click (PPC) system, you only pay when someone clicks on the ad. If that click converts into a sale, it can go a long way toward helping you improve your BSR and increase the visibility of your brand across the entire channel. Use A+ pages or enhanced brand content: A+ pages and enhanced brand content (EBC) give you a greater opportunity to display your product to people who are viewing your listing. Both of these options offer more room to describe your product and post additional pictures, allowing potential buyers a more in-depth look at your product. This additional content provides customers with a deeper understanding of not only the product you are selling but your brand, too, leading to an increased likelihood of a purchase. Choosing A+ or EBC depends on your store type. EBC is designed for third-party sellers and is available through Seller Central while A+ is for first-party sellers or vendors using Vendor Central. To be a truly successful high-volume seller you need to be able to move your product outside of Amazon, too. It may be a dominant marketplace but there are other options available that can significantly increase your sales and boost your profits. Create your own store: Creating your own e-commerce store gives you the freedom to market your product the way you would like. When you are only selling through online marketplaces such as Amazon, you must adhere to their rules or risk suspension and, worse, an outright ban from the site. With your own store, you can create a customer experience of your choosing. Everything from page layout to themes and color schemes is entirely within your control. Not to mention, you can control your price points: a price can be set without the fear that someone will come in and steal potential customers by underselling you. You can offer sales and discounts when they suit you and your business model instead of in response to another seller. Having your own store gives you a greater ability to establish and control your profit margins. Not a whiz at web development and design? No problem! There are several tools available that can help you build an online store. Shopify, to name just one, enables you to set up shop right on their platform. There are many more great options out there. Explore and find the one that works best for you. Use social media: Social media plays an undeniably large role in the lives of most people. If you are not marketing your business and your products on social media, you are missing a golden opportunity to drive traffic to your store. These platforms can be used in a handful of ways, all of which can provide incredible returns. You can create ads or posts that link directly to your e-commerce store or your Amazon product listing that will send potential customers straight to the point of purchase. Social media also provides an opportunity for you to cultivate brand awareness and trust. People are more likely to purchase from a company they feel like they have a relationship with. By staying active online and engaging with your followers, you are growing this relationship. When operating on so many channels it can be hard to keep track of customer information and which efforts you are making and where, but it is important that you try. Social media followers and their responses to your posts give you that social proof you need to convert a sale from someone who may have otherwise been sitting on the fence. Sell on another marketplace: Upping the number of places you sell your product can only increase the number of sales you stand to make. Amazon is massive. That’s why it’s an obvious place to list your products. But no matter how much the marketplace continues to grow, it is still only part of the wider e-commerce space. And with so much competition, it makes sense to try less crowded spaces as well. 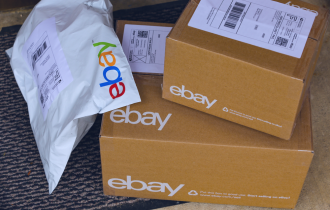 Similar to Amazon, eBay sells just about anything and has a wide-ranging customer base. If you sell handcrafted items, Etsy may be the place for you or Newegg for electronics. For every niche product, there is a niche market so do your research and list your product anywhere that makes sense. When establishing yourself on these other channels, make sure all of your listings are different. The purpose of doing so is twofold. First, when you write a custom listing for each marketplace, you can speak directly to the customer that shops in that space. Using language that is not appropriate for the audience will alienate potential buyers and make them less likely to purchase your products. Secondly, writing the same thing in all your listings can hurt your results in a Google search. The first result Google returns will be the most popular page. The vast majority of the time, that first hit will be your Amazon listing. Some customers will be happy to visit your Amazon listing to learn more or purchase your product but not everyone will. If you are using different language in each listing, you increase the chances of returning multiple results on the first page and that makes it more likely that the person who initiated the search will end up clicking a link that takes them to one of your sales channels. To be a competitive, high-volume seller, you need to make proper use of the tools that are available to you both on and off Amazon. Following the tips listed above can increase your brand recognition and position you to not only keep pace with the big sellers but move well ahead of your direct competition. Andrew Maffettone is the director of marketing and operations for Seller’s Choice, a full-service digital marketing agency for e-commerce sellers. Seller’s Choice provides uniquely personalized marketing and managed services for digital marketplace sellers, e-commerce merchants, and brand builders worldwide. You can learn more by emailing team@sellerschoice.agency.